Kara McElwrath, training specialist for Information Technology Services at the University of Illinois Springfield has co-authored a chapter in the new online learning reference book Learning Management System Technologies and Software Solutions for Online Teaching: Tools and Applications. The chapter, entitled Leading Toward Improved Collaboration, was co-authored with Dr. Vickie Cook, dean of the School of Education/director of online learning at Greenville College and a former UIS professor. The book was published by IGI Global and is available in hardcover or as an e-book. The chapter focuses on UIS’ online document management system “eDocs”, developed by Xythos and how and why it was selected. The system gives faculty and students the ability to collaborate through instant file sharing in a secure environment. McElwrath and Cook describe how the technology was implemented and integrated, its impact on the campus, and challenges and successes. “The experience was unique for me - I typically focus on technical writing (developing how-to's and tip sheets). It was a wonderful opportunity, not only to collaborate with a well-respected colleague, but also to share our story with others who are passionate about online learning,” said McElwrath. The book is a collaboration of chapters, each by different authors, showcasing solutions for the challenges facing online learning - taking into consideration budgets, resources, pedagogy, and curriculum. “It was exciting for me to play a role in this endeavor,” said McElwrath. Campus Health Services Director Lynne Price has been part of the SSU/UIS campus since its beginning. She’s the longest serving employee, who is still working for the university today. When Price interviewed for the position of staff nurse, campus leaders wanted her to agree to stay at SSU for at least 2 years. Price soon discovered she had found her “niche job” and 2 years turned into 40. She says every time she thinks about retirement a new challenge comes along, which keeps her on campus. Price remembers students questioning why they even needed a nurse back in the early days of SSU. The need became obvious as the campus grew adding more undergraduate and graduate students, international students and athletic programs. While they’re many reasons Price loves UIS, she says it’s the students she enjoys the most. The Bill Miller Public Affairs Reporting Hall of Fame will honor three graduates from the University of Illinois Springfield’s (UIS) Public Affairs Reporting program who have distinguished themselves in the field of journalism. Susan Cornwell, John O’Connor and Barbara Hipsman will be inducted into the Hall of Fame at the Hoogland Center for the Arts in Springfield on Monday, November 15, 2010. The Public Affairs Reporting (PAR) Hall of Fame was named in honor of Bill Miller, an award-winning journalist who served as the program’s director for 19 years. After a semester of classroom study, students work six months in the Capitol covering state politics under the supervision of professional journalists. More than 580 students have completed the program since the first class graduated in 1973. Illinois Issues, the state’s leading public affairs magazine, and WUIS-91.9 – the capital city’s National Public Radio station – established the bi-annual event in 2006. Both are units of the Center for State Policy and Leadership at UIS. Susan Cornwell, 55, has been a working journalist for more than three decades and in several countries around the world. She interviewed pivotal world leaders, such as former German Chancellor Helmut Kohl, and wrote the first draft of history in Mikhail Gorbachev’s perestroika-era Soviet Union. Cornwell has reported on U.S. policies and politics from Washington, where she has followed events on Capitol Hill, at the White House and the State Department. In 1996, Cornwell won the Merriman Smith award for presidential reporting on a deadline, given to one journalist a year by the White House Correspondents’ Association. She is currently a Capitol Hill correspondent for Reuters, focusing mainly on foreign policy. Raised in Metropolis and Edwardsville, Cornwell received her professional start in Illinois, working briefly as a copy clerk for the Alton Telegraph followed by her first full-time reporting job at the Springfield State Journal-Register. She received her bachelor’s degree in journalism from the University of Illinois Urbana-Champaign and her master’s degree from UIS (then Sangamon State University) in 1979. John O’Connor, 47, has been an Illinois state Capitol reporter for The Associated Press since 1998, focusing on a variety of enterprising and investigative pieces. He is the 2010 winner of the $10,000 Oliver S. Gramling Journalism Achievement Award from the AP for a year-long body of work that included reports on a secret early prison-release program that nearly cost Gov. Pat Quinn the primary election and forced changes in state laws requiring minimum sentences. Other articles included a report on the gaping racial disparity in school discipline that inspired a state legislative task force and an article on salary increases given to Quinn’s top staff—some topping 20 percent —during a budget crisis, that had prompted the governor to announce extra furlough days for all state workers. He was given the specialist byline ―AP Political Writer‖ in 2005 for consistently breaking stories. Prior to working with the AP, O’Connor was a journalist at several Illinois newspapers, most recently the State Journal-Register (Springfield), the Bloomington Pantagraph and the Daily Herald (Arlington Heights). A native of Freeport, Illinois, O’Connor received a bachelor’s degree in speech communication from Loras College in Dubuque, Iowa, before receiving his master’s at UIS (then Sangamon State University) in 1986. Barbara Hipsman, 59, has been an associate professor of journalism and mass communication at Kent State University, Kent, Ohio since 1987, where she received the Distinguished Teaching Award in 1996. Previously, Hipsman was an assistant professor at Bradley University in Peoria for three years and worked as Statehouse bureau chief for the Belleville News Democrat for six years. She is active with Capitolbeat, the national association of Capitol reporters and editors, as a judge, facilitator and presenter at national meetings. Hipsman remains current on journalistic trends, using sabbaticals spent at the St. Louis Post-Dispatch, Chicago Tribune, Arizona Daily Republic and Columbus Dispatch to study the effects of convergence, varying ownership and unionization. This spring, Hipsman will study cell phone usage in news gathering. She received a B.S. in journalism from Northern Illinois University in 1972 and her master’s from UIS (then Sangamon State University) in 1978. 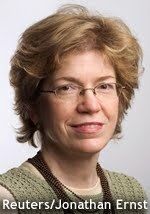 Kathy Best, managing editor, digital news and innovation for The Seattle Times will be the keynote speaker. In 2010 the newspaper won a Pulitzer Prize for the speed and accuracy in its initial breaking news coverage (print, online and combined) of the shooting deaths of four police officers and the ensuing 40-hour manhunt for the suspect. Best works with a staff of 25 producers, designers and engineers at seattletimes.com and is the bridge between the newsroom and its online operations. Before joining the Times in 2007, she was the assistant managing editor for Sunday, national and foreign news at the Baltimore Sun; assistant managing editor/metro at the St. Louis Post-Dispatch; and assistant managing editor/metro at the Seattle Post-Intelligencer. Prior to her move into editing, she was a reporter for 15 years in Illinois and Washington, D.C. A member of the PAR program’s Class of 1979-80, Best was named to the program’s Hall of Fame in 2006. She is a native of Sullivan, Illinois. The Hall of Fame event will be held on November 15 at The Hoogland Center for the Arts, 420 S. 6th St., Springfield, beginning with a 5:30 p.m. reception, followed by the program and induction at 6:30 p.m. Tickets are $35 and may be purchased by contacting the Hoogland Center for the Arts at 217/523-2787 or at www.wuis.org. When University of Illinois Springfield Chancellor Richard D. Ringeisen arrived on campus in 2001 it was a much different landscape. “We didn’t have University Hall, we didn’t have the quad and we didn’t have the colonnade. Lincoln Hall was under construction,” said Ringeisen. The campus would grow with the later additions of Founders Residence Hall and The Recreation and Athletic Center (TRAC). While Ringeisen is proud of the physical growth of campus it’s another plan he considers the most important. “If you ask me flat out what do you think is the greatest thing to happen during your decade I would say the strategic plan. The strategic plan has set goals and said what we were. We have to keep our eye on that plan,” he said. Under Ringeisen’s leadership the campus grew to over 5,000 students for the first time in its 40-year history. UIS has been the recipient of numerous national awards of excellence in education. Ringeisen says he’s excited about the future of the university he has lead for the past decade. Ringeisen’s retirement is effective October 31, 2010. UIS Provost and Vice Chancellor for Academic Affairs Harry Berman will take over as Interim Chancellor starting November 1, 2010. University of Illinois Springfield Associate Professor of Sociology/Anthropology Lynn Fisher has a passion for archeology. Fisher has spent nearly every summer since 2001 in the Southwestern region of Germany unearthing early farm settlements. Fisher’s research focuses on European Stone Age societies and culture change. “We research the Stone Age landscapes out of a curiosity, which moves a lot of people. We want to know the history of that landscape and how people have lived and adapted there,” said Fisher. Fisher has been working with a group of German archeologists from the University of Tübingen as well as local amateur archeologists to explore the history of early farm villages. College students from UIS and other universities in the United States have also been part of the research team. One area where the group has concentrated their research is the Swabian plateau of southwestern Germany. The plateau was previously considered to be settled only later in time. “The surprise was we in fact have a early farmer village, which is up on top of this plateau. It’s the highest elevation early farming site in this region and it really raises some new questions about how farmers occupied this area,” she said. Researchers discovered nearly a dozen long houses, which they believe date back to between 5400 and 5000 B.C. Before the discovery it was thought the early farmers only inhabited nearby valley areas. “We’re working in an area where people haven’t previously done a lot of research,” said Fisher. New mapping technologies allowed the team to investigate the area, without too much disruption. They used remote sensing equipment to locate the exact site of houses in the village. They then dug small trenches based on that information. “Right now, we’ve closed up our field work at the moment and are in the lab studying some of the 10’s of thousands of artifacts weighing over a ton that we’ve recovered from our three excavations over the years,” added Fisher. Fisher plans to continue her summer trips to Germany as data is analyzed, which could lead to new discoveries. University of Illinois Springfield Professor of Political Science Dr. Matthew Holden, Jr. will be honored during the annual symposium and lecture that bears his name. The event will be held on Thursday, November 4, 2010 at Jackson State University in Jackson, Mississippi. The Symposium Lecture will be given by Dianne Pinderhughes, University of Notre Dame President’s Distinguished Professor. The title of the lecture is “Being President Barack Hussein Obama Black Politics After the Civil Rights Revolution”. Pinderhughes earned her B.A. degree from Albertus Magnus College and the Ph.D. in political science from the University of Chicago. Her research examines the impact of racial, ethnic and gender politics on public policy and civil society institutions. Her seminal work is Race and Ethnicity in Chicago Politics: A Reexamination of Pluralist Theory. She served as president of the American Political Science Association as well as a Woodrow Wilson Center Fellow and Brookings Institution Guest Scholar. 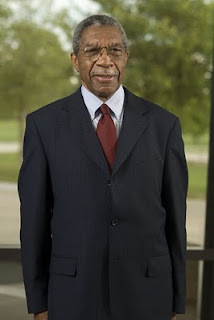 In 2004, Dr. Holden and his wife Dorothy donated their personal library of more than 4,000 volumes to the Jackson State University Center for University Scholars. The Center facilitates faculty research productivity and encourages academic discourse. It hosts an annual symposium for recipients of summer research grants. In recognition of Professor Holden’s accomplishments and his generous donation to JSU, the Center has named a reading room and this lecture in his honor. Active in policy and praxis, Holden authored The Divisible Republic, Resources and Decisions and What Government Does and served as president of the American Political Science Association, president of the Policy Studies Organization and commissioner of the Federal Energy Regulation Commission. Four new members were recently inducted into the Epsilon Chi Chapter of Alpha Phi Sigma, the national criminal justice honor society at the University of Illinois Springfield. Alpha Phi Sigma, the only national honor society for criminal justice majors, recognizes the academic excellence of undergraduate and graduate students. To be eligible, students must have completed at least one-third of the total hours required for graduation and must maintain specified grade-point averages overall and in the major. Inductees include Jenna Edwards of Belvidere, IL; Nicole Holland of Peoria, IL; Zachary Miller of Mattoon, IL; and Alex Womack of Springfield, IL. These new members join the following continuing members: Ryan Hudson of Litchfield, IL; Bret Merna of Peoria, IL; Lindzee Edwards, Trevor Edwards, and Julianna Richards of Springfield, IL; Jeffrey Jacobs of Jacksonville, IL; Lauren Ladage of Auburn, IL; and Alex Power of Petersburg, IL. Julianna Richards is serving as President of the chapter, with Trevor Edwards as Vice-President and Lindzee Edwards as Secretary and Treasurer. For more information on the honor society contact Juanita Ortiz, assistant professor of Criminal Justice at 217/206-8481 or email jorti2@uis.edu. Three University of Illinois Springfield online educators are among a nationwide group of leaders in the field being honored by the Sloan Consortium. Burks Oakley II, Ray Schroeder and Karen Swan are among the inaugural class of sixteen Sloan-C Fellows. UIS stands out on the list with more recipients than any other university. The honor is given to educators who have outstanding and extraordinary qualifications in the field of online learning, significant experience in online learning or an allied field, a record of distinguished service to Sloan-C or the field, and extraordinary contributions or leadership in the field of online learning. Burks Oakley II is a scholar in residence at UIS and professor emeritus in the Department of Electrical and Computer Engineering at the University of Illinois at Urbana-Champaign. Oakley is being honored for innovative and inspirational work in the conceptualization, implementation and advocacy of online learning in higher education on a national scale. Ray Schroeder, director of the Center for Online Learning, Research, and Service (COLRS) at UIS and professor emeritus of Communication is also being honored. His award is for increasing access to higher education by cultivating a breadth of online degree programs and for chronicling the progress of the theory and practice of online education through new media. Professor Karen Swan is the Stukel Distinguished Professor of Educational Leadership in the College of Education and Human Services at UIS. Her honor is for rigorous research that has advanced the understanding of learning effectiveness in online and blended education. The fellows will be recognized during a banquet on Nov. 3 at the 16th Annual Sloan-C International Conference on Online Learning in Orlando, Florida. Noted Lincoln scholar Michael Burlingame, author of Abraham Lincoln: A Life, will be the keynote speaker for the dedication of a sculpture commemorating Abraham Lincoln’s connections to Bloomington-Normal. The life-sized statuary group features Lincoln and his close friends and advisors, Jesse Fell and Judge David Davis, and was commissioned by the Abraham Lincoln Bicentennial Commission of McLean County. Professor Burlingame is the Chancellor Naomi B. Lynn Distinguished Chair in Lincoln Studies at University of Illinois - Springfield, and will be part of the special event Saturday, October 23, at 10 a.m. at the Bloomington Center for the Performing Arts, 600 N. East St., Bloomington. Bloomington sculptor Andrew Jumonville’s work is titled, “Convergence of Purpose,” and will be placed in the recently renamed Lincoln Park at the front of the Bloomington Center for the Performing Arts, located just north of Downtown Bloomington. Jumonville has captured the vibrant personalities of the three men, who are depicted as they appeared in the mid-1800s. More than $200,000 was raised for the project through private and corporate donations, as well as grant funds from the Illinois Lincoln Bicentennial Commission and other sources. The public is invited to the event, which will include readings of selected Lincoln works by Illinois State University President Al Bowman and Illinois Wesleyan University President Richard Wilson. The IWU Collegiate Choir, under the direction of Dr. J. Scott Ferguson, will perform 19th century songs made popular by America’s first group of protest singers, the Hutchinson Family. The sculptor and those who have contributed to the project will be recognized during the event, which is hosted with support from Milner Library at Illinois State University. Bloomington Mayor Stephen Stockton will host a reception preceding the dedication at 9 a.m. The Abraham Lincoln Bicentennial Commission of McLean County was established as a joint effort between the City of Bloomington, the Town of Normal, and the County of McLean for the purpose of spearheading the local observance of the 200th anniversary of Lincoln’s birth, and to celebrate the 16th president’s many connections to McLean County. Since late 2008, the Commission has facilitated and hosted numerous speakers, and special programs, and collaborated with the David Davis Mansion State Historic Site and the McLean County Museum of History to help area residents understand the role our community played in Lincoln’s life and career. Information provided by the Abraham Lincoln Bicentennial Commission of McLean County. Anthony Nevicosi, a master’s of Public Health (MPH) student at the University of Illinois Springfield has been named the October 2010 Student of the Month by the Association of Environmental Health Academic Programs (AEHAP). The association highlights a student from an accredited program each month. Nevicosi is studying Environmental Health at UIS. He says he chose the career after growing up hearing and reading about the global warming phenomenon. 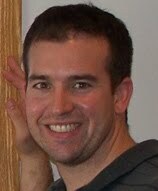 He was born and raised in North-Central Illinois and served 4 years with the U.S. Air Force. Nevicosi studied nutrition and dietetics at Illinois State University where he earned his undergraduate degree. In his profile posted on the AEHAP website, Nevicosi praises the MPH program. “It is a very flexible program according to my schedule. The online curriculum has its positives and negatives, but having the flexibility to study on my own time is a definite plus,” he said. After graduation he plans to use his MPH degree to benefit his career with the federal government. “By graduating with an MPA and MPH I hope to be a marketable job seeker, but also look forward to serving in the public sector again,” he said. The University of Illinois Springfield Center for Teaching and Learning (CTL) web site is being honored by the National College Learning Center Association and the Learning Support Centers in Higher Education web portal. The center is the recipient of the second place 2010 Web Site Excellence Award. The award was presented to CTL Mathematics Specialist Nicole Meismer during the 25th annual NCLCA Conference in Charlotte, NC on September 30, 2010. The center was presented with a wall plaque and certificate as part of the award. In addition, the center will also receive the 2010 NCLCA/LSCHE Web Site Excellence Award icon for display on their homepage. The website was judged on factors such as general appearance, having a mission statement and showing evidence of supporting online students. “We were all very impressed by the web site for the Center for Teaching and Learning,” said Alan Craig, president of the National College Learning Center Association. Web sites were judged by leaders of NCLCA and LSCHE along with past first-place award winners.